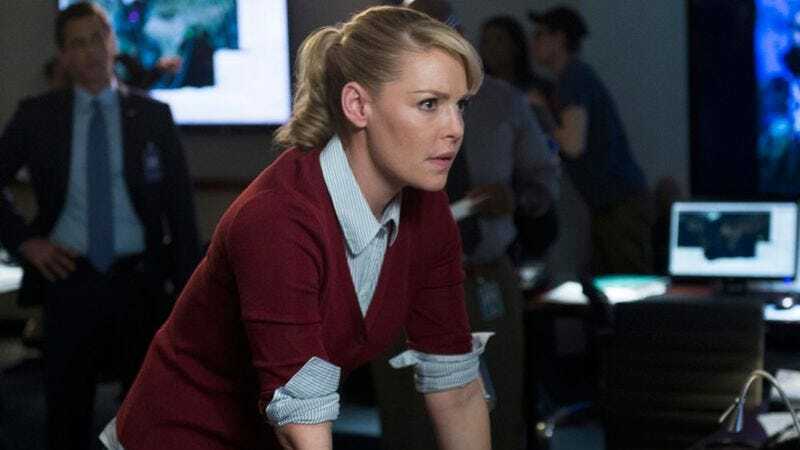 Katherine Heigl is set to make her re-return to network television after the first attempt, NBC’s canceled political thriller State Of Affairs, couldn’t quite ignite her television career. Heigl has landed the lead role in the new CBS drama Doubt, Deadline reports. CBS originally piloted the project—which comes from Grey’s Anatomy executive producers and writers Tony Phelan and Joan Reter—last season, with KaDee Strickland and Teddy Sears cast as the leads. The pilot didn’t make the cut to series, but CBS kept it around, deciding to recast the main characters. The project reunites Heigl with Phelan and Reter. Heigl replaces Strickland as Sadie Ellis, a smart defense lawyer at a small firm who gets romantically involved with her client, Billy, who may or may not be guilty. Yep, it sounds like a Katherine Heigl role. It also sounds like a Shonda Rhimes premise without the Shonda Rhimes, so, in other words, without the secret ingredient to make it work. While the role of Billy has yet to be recast, the rest of the cast will remain the same as the original version of the pilot. Doubt co-stars Laverne Cox as Cameron Wirth, a transgender attorney with an Ivy League background, Dulé Hill as Sadie’s law partner and close friend Albert Cobb, Dreama Walker as Tiffany Simon, a second-year associate under Cameron, Elliott Gould as Isaiah Roth, the head of Sadie’s firm, and Kobi Libii as an ambitious recent law school graduate named Nick Brady. In addition to her short tenure on State Of Affairs, Heigl recently struggled to have chemistry with Alexis Bledel in the outdated lesbian rom-com Jenny’s Wedding. Hopefully she’ll find more of a spark with whoever ends up as her Billy.